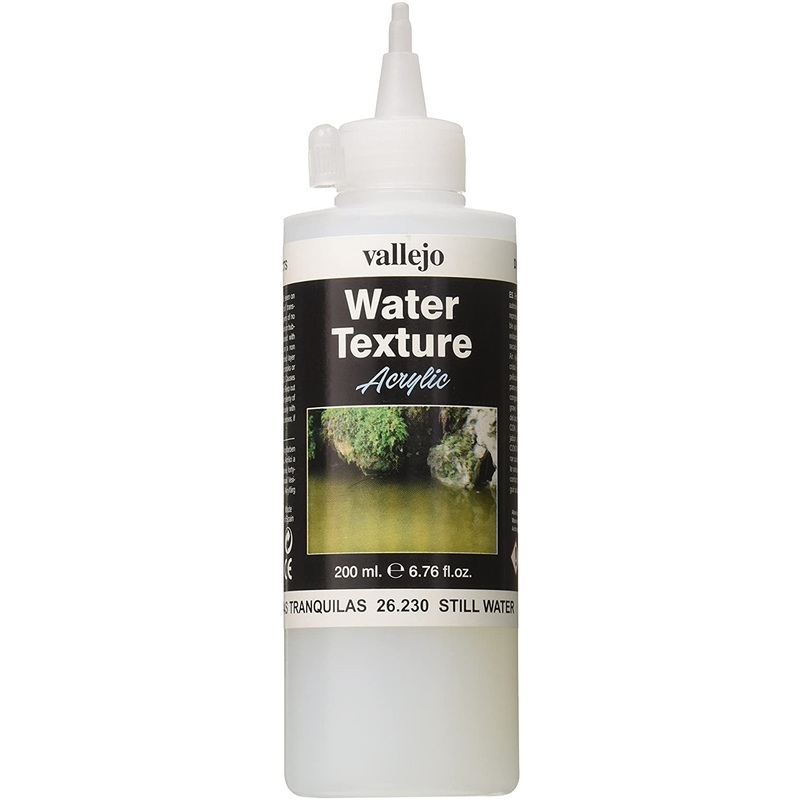 Still Water is a water-based polyurethane that you pour directly in place in thin layers to create ponds, puddles and other water effects on your model railroad or diorama. Self-levels and dries to a hard, crystal clear finish in about 24 hours. 200 ml (6-3/4 oz) nozzle-topped bottle.